Longshore workers pay is much higher than almost all other transit employees, including trucking, railroad or airline workers. One of the reasons for the good pay is that longshore work is rigorous, demanding and oftentimes dangerous work. Though no one likes to think about it, if you’re a longshore worker, you have probably experienced or seen injuries first-hand on multiple occasions. The good news is that Longshore Workers Compensation offers a very robust benefits program for workers who have been injured in their line of employment. In fact, according to the U.S. Department of Labor website, more than 25,000 people are annually provided with medical care, rehabilitation services and lost wages under the Longshore and Harbor Workers’ Compensation Act. It’s also paid monetary compensation to thousands of injured workers for lost wages or their families who have lost a loved one because of his or her work. The bad news is that, in many cases, the employer and/or their insurance company has team of adjusters, investigators and aggressive defense lawyers at the ready to try and deny Longshore Workers Comp claims. However, hiring a specialized Longshore Workers Comp attorney who is familiar with the complex Federal Longshore Workers Compensation laws (LHWCA), can offer you the best chance of winning a your claim and collecting the maximum benefits for which you qualify. Crushed limbs, broken bones, and brain injury, are some of the most common injuries to longshore workers that give rise to compensation cases. For example, it is not uncommon for a stevedore to become trapped and crushed between two containers being moved too closely together. Or, a longshore worker may slip and fall on a wet dock and breaks a leg. Similarly, a crane can swing in an unexpected direction and hit a dockworker in the head, causing a brain injury. As the result of the heavy lifting and carrying required of longshore workers, back injuries are among the most common injuries. Broken backs and serious injury to the spinal cord can occur. Getting hit or crushed by a forklift is another common cause of head and back injuries for longshore workers. Bars coming loose when a longshoreman is “lashing,” locking, or unlocking containers can also occur. Less visible harm can also befall longshore workers, as well through exposure to toxic chemicals from leaking containers. And exposure to diesel particulates from ships and/or trucks can cause to respiratory disease. Working on the rainy, noisy, and often sweltering hot docks can also lead to medical conditions. Hearing loss is not uncommon after several years as a longshore worker. Similarly, longshore workers who are exposed to repetitive vibrations from using power machinery or tools can suffer nerve damage that results in loss of feeling in hands and arms. Unfortunately, the opportunities for injury are almost limitless in the dangerous line of longshore work. Everything from electrocution when replacing circuit breakers on containers, to falling into the water and drowning can occur. Most everday people do not stop to realize both how important longshore workers are to keeping our economy running. And few people ever think about how dangerous this line of work truly is. 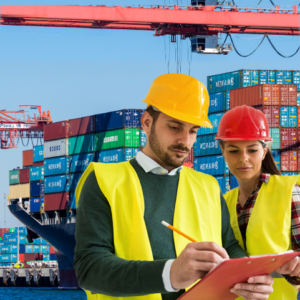 If you were injured or made ill while working in a maritime environment, our skilled and experienced San Diego Area Longshore Workers Comp attorneys appreciate what you do, and are here to help you get the Workes Comp you deserve. We have obtained millions of dollars in settlements for longshore, maritime and dock workers in Long Beach, the San Diego Area and across Southern California. We offer a free consultation to evaluate your case and advise you on the best legal avenue to pursue in your unique situation, to ensure you collect the maximum compensation for which you qualify. and protect your legal rights. What is the Difference between Longshore Workers' & Jones Act Cases? https://workercomplaw.com/wp-content/uploads/2018/07/workers-comp-attorney.png 0 0 CantrellGreen https://workercomplaw.com/wp-content/uploads/2018/07/workers-comp-attorney.png CantrellGreen2018-08-28 18:30:162018-09-01 19:36:43What is the Difference between Longshore Workers' & Jones Act Cases? Can I Sue a Third Party, if I Collect Longshoreman’s Workers Comp? https://workercomplaw.com/wp-content/uploads/2018/07/workers-comp-attorney.png 0 0 CantrellGreen https://workercomplaw.com/wp-content/uploads/2018/07/workers-comp-attorney.png CantrellGreen2018-04-23 01:59:332018-05-01 01:54:17Can I Sue a Third Party, if I Collect Longshoreman’s Workers Comp? *"No Fee Until We Win" applies to Social Security Disability, Workers' Compensation & Defense Base Act Cases, but does NOT include Disability Retirement Cases. Making a false or fraudulent workers' compensation claim is a felony subject to up to five years in prison, and/or a fine of up to $50,000.00 or double the value of fraud, whichever is greater, or by both imprisonment and fine. The information on this site is based on law in effect at the time of publication. Laws change and are subject to interpretation by Courts. Therefore, this information may be superseded by new laws or interpretations. Information on this site is general information only and is not to be used as specific legal advice and does not create an attorney-client relationship. To understand how the law applies to your specific situation, call our attorneys at: 562-622-4800.